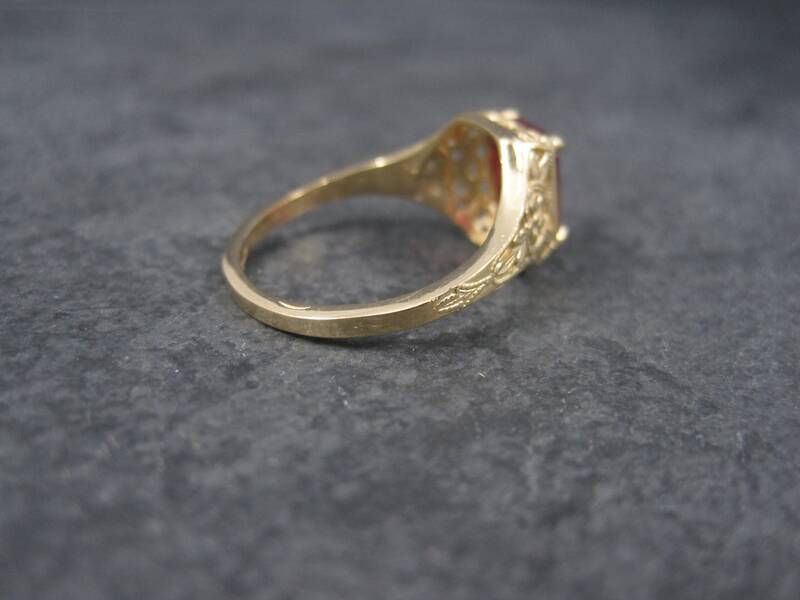 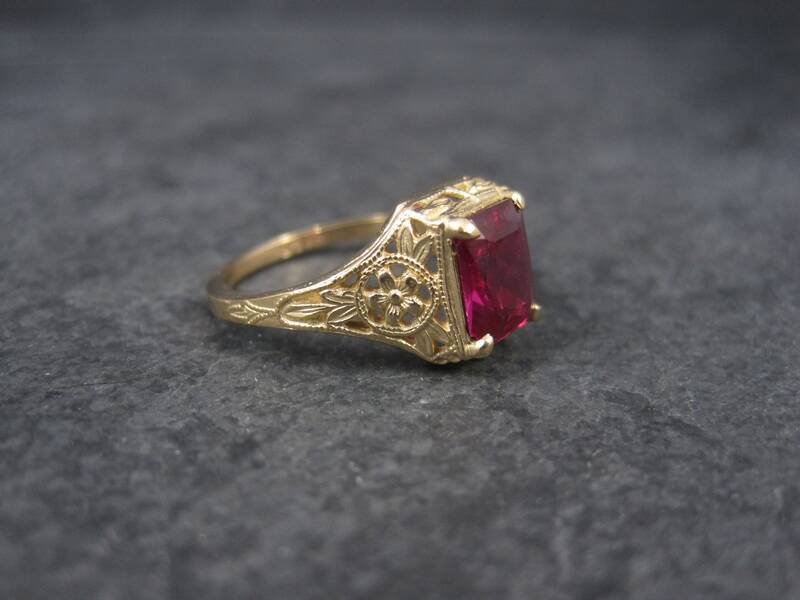 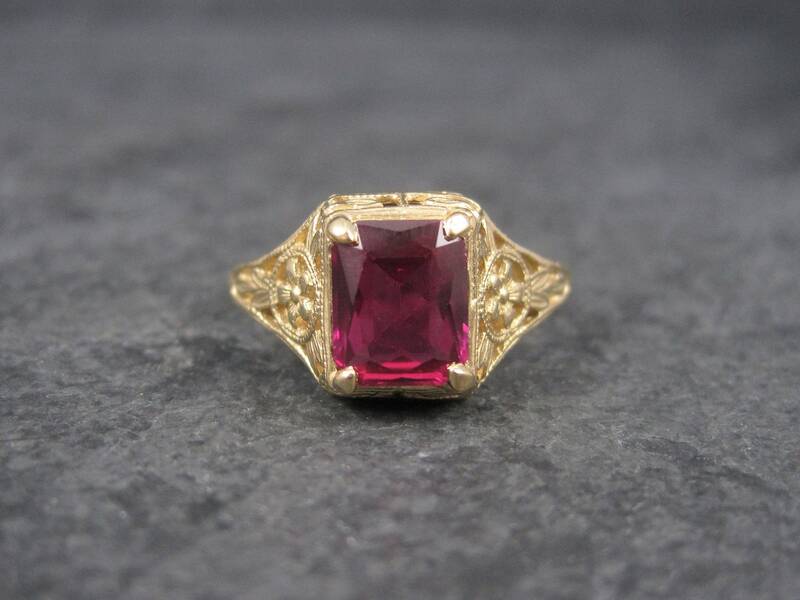 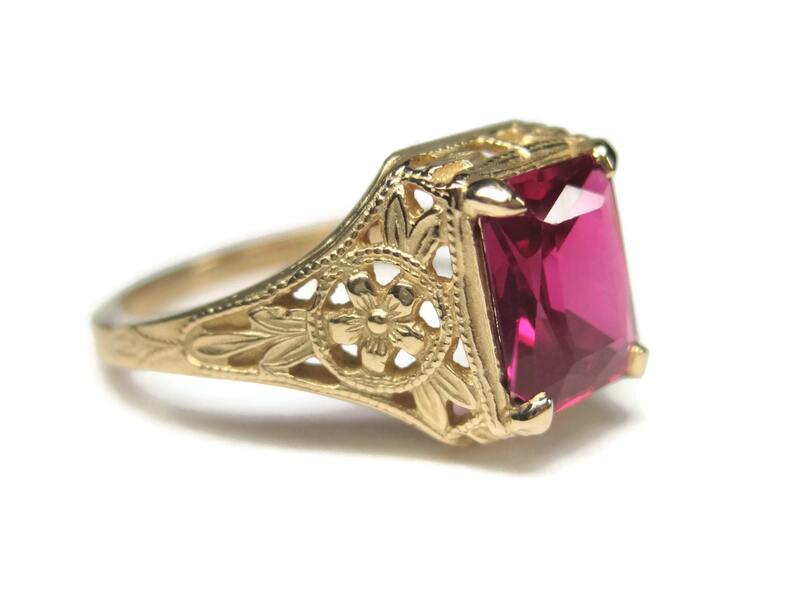 This gorgeous ring is a vintage Art Deco Reproduction. 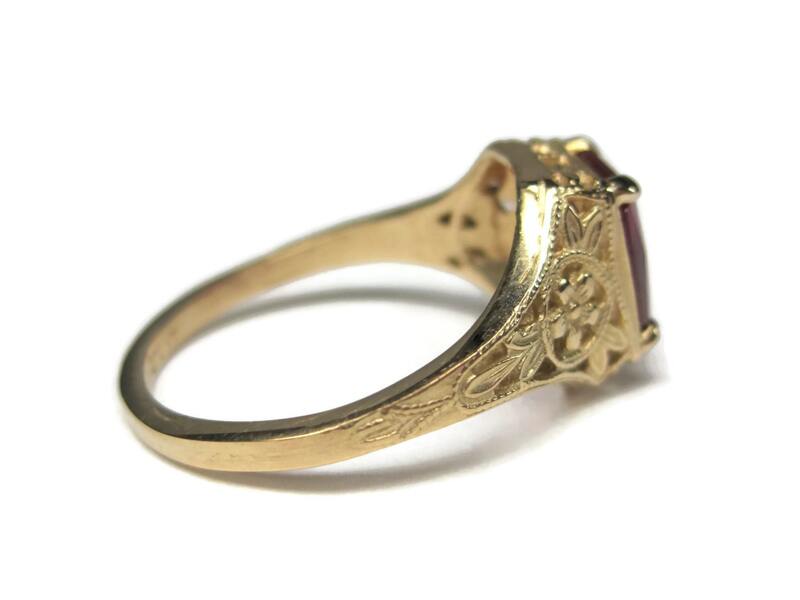 It is 14K yellow and gold done in a filigree design with delicate flowers on each side. 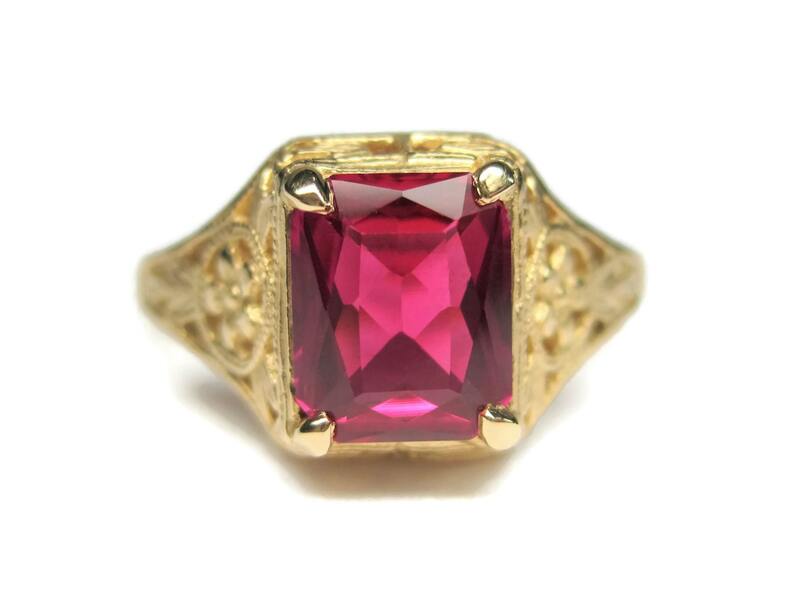 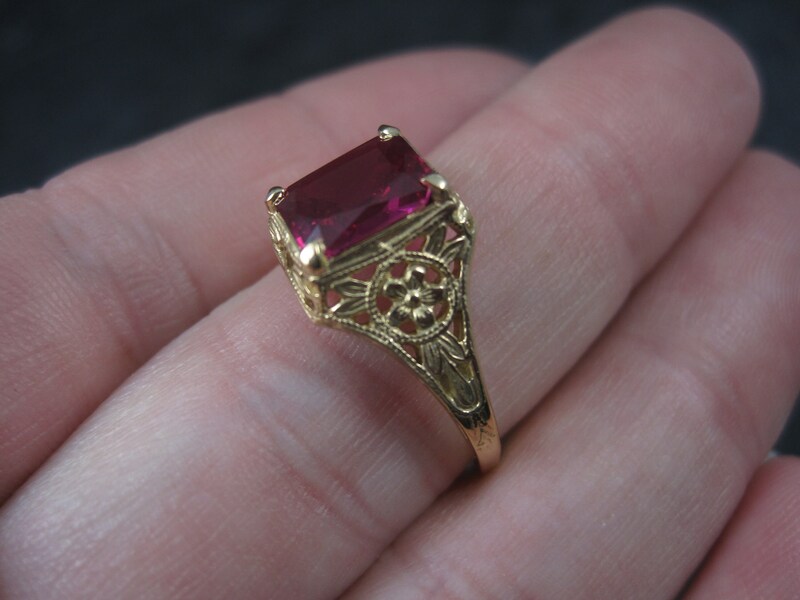 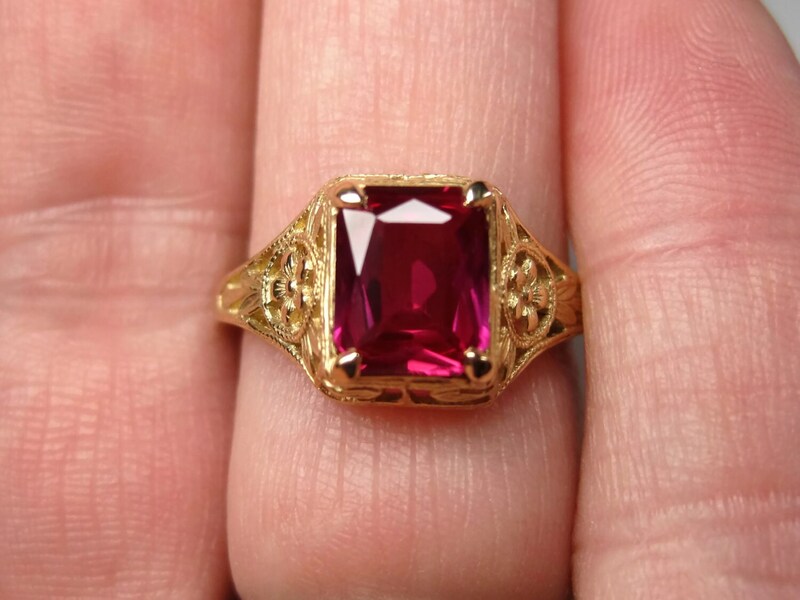 The synthetic ruby is apx 2.2 carats. 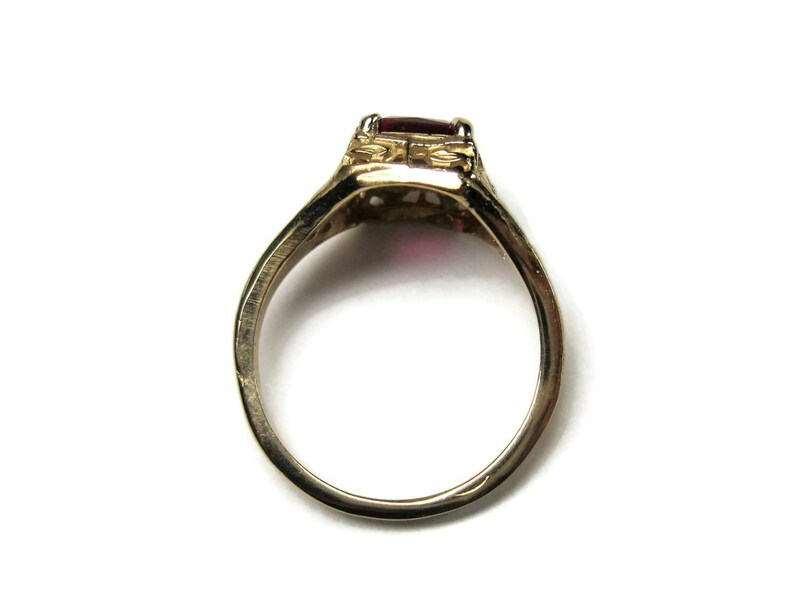 The face of the ring measures 7/16 of an inch from knuckle to knuckle. 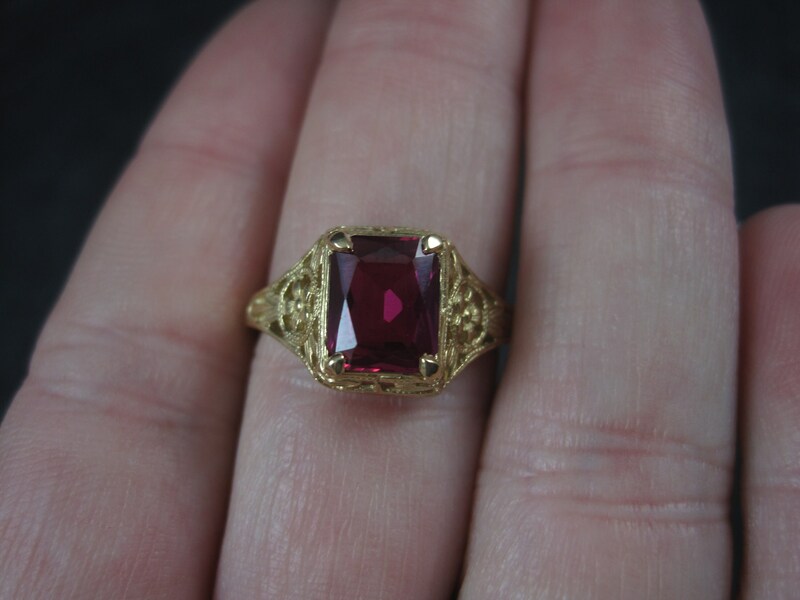 It is in excellent condition - it has been polished and evaluated by a professional jeweler and is ready to wear.